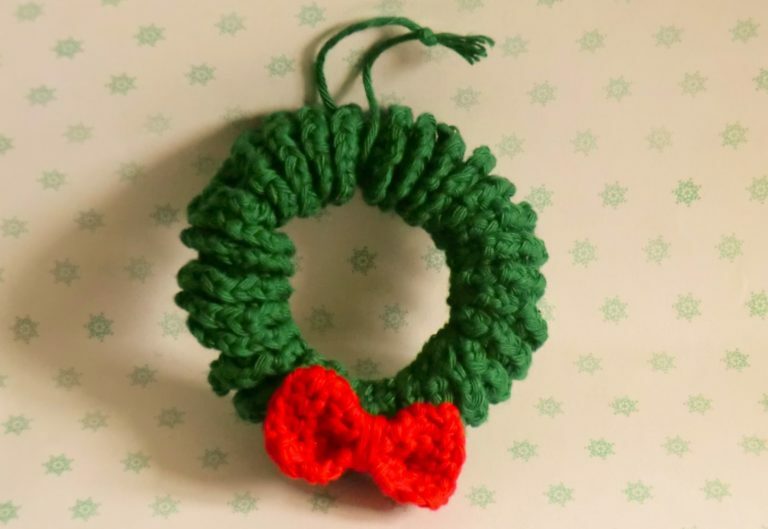 A cute little crocheted wreath for your Christmas tree or as a gift topper. I love how it spirals around, because it makes it super easy to decorate it with little pompoms and other sparkly holiday decor. To make this you will need your yarn, a 3.5mm crochet hook and fabric glue. If you enjoyed this free crochet pattern you might also enjoy more from Amigurumi Barmy.